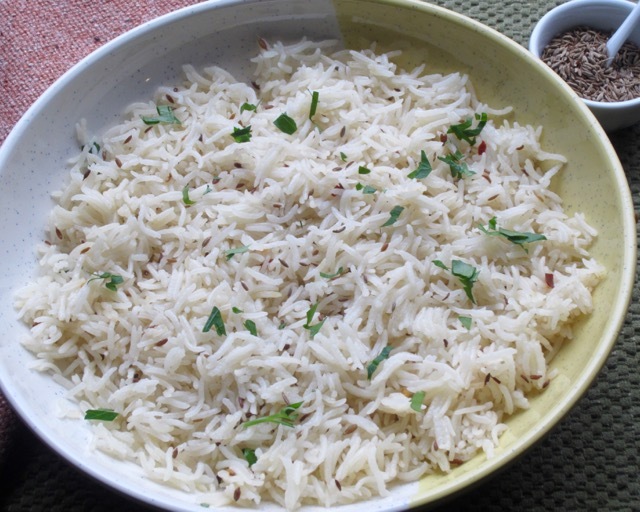 For cumin rice, I usually add 1½ teaspoons cumin seeds per cup of rice. You have to figure out what works best for you. 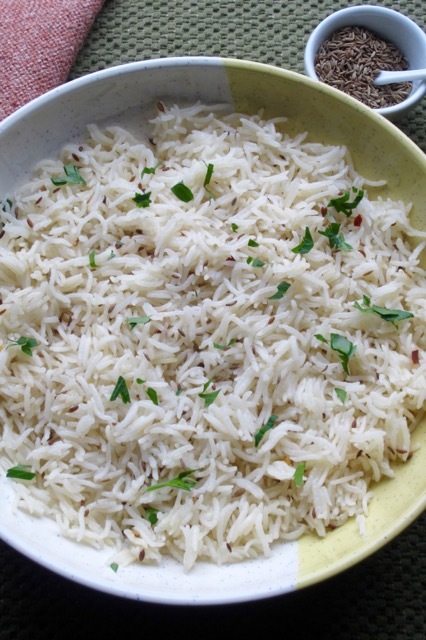 I always use basmati rice. It works best for this recipe. 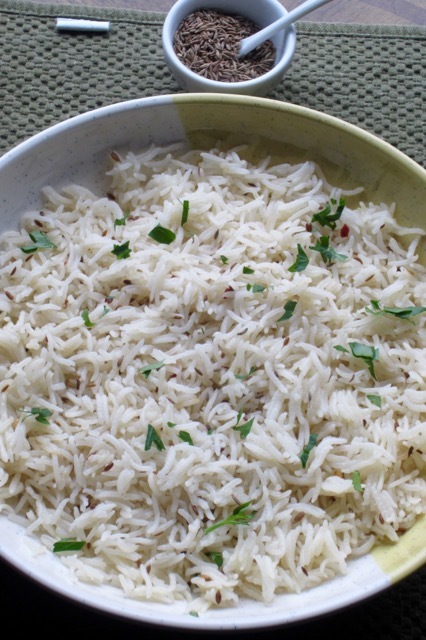 Wash the rice in cold water and drain thoroughly, set aside. Heat the oil or ghee in a large non-stick pan. Add the cumin seeds and cook over medium heat until they splutter and turn lightly browned. (do not burn them). Add the rice and chilli flakes and stir- fry for 2-3 minutes, until the rice is fairly dry. Add water and salt to taste and bring to a rolling boil. Cover the pan, reduce heat to low, and simmer for 12 minutes. Please do not lift the lid during the twelve minutes. Turn off the heat and leave undisturbed for a further 10 minutes. 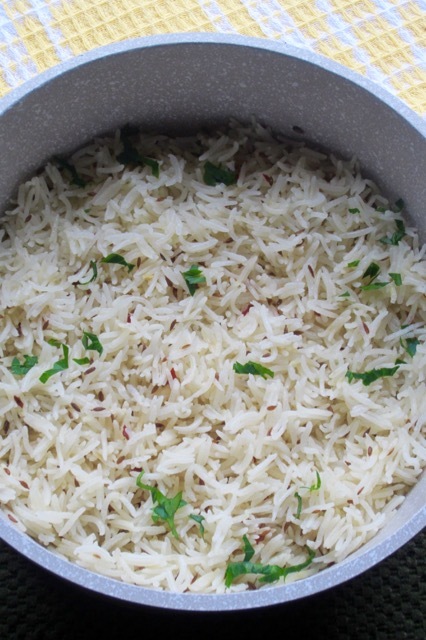 Lift the lid, fluff the rice and serve immediately. Tip: alway cook rice in a large based pan. You will get the best results. 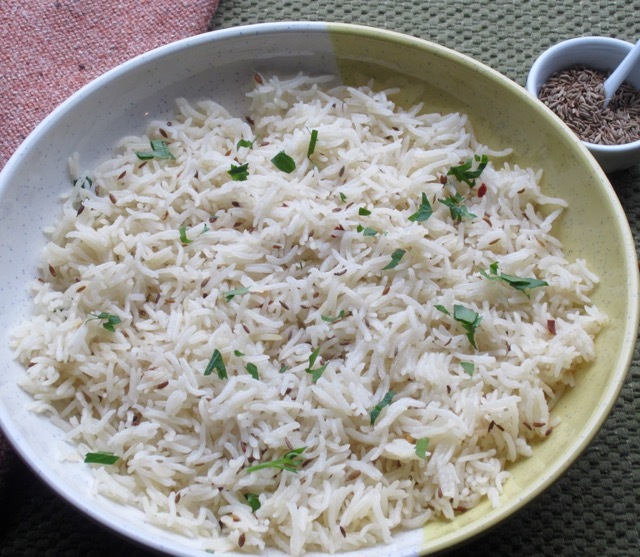 Cook cumin seeds, add chilli flakes and rice, 2-3 minutes then add the water and simmer 12 minutes. Set aside 10 minutes then fluff. I know. So simple but really delicious!